Sit back and imagine this for a moment: crystal clear, turquoise waters. Muscular surfer boys and beautiful beach babes playing volleyball together. Blue skies and sunshine for most of the year, and to top it all off, gorgeous mountains just around the corner. Doesn’t really make you think of Austria, does it? And yet, Klagenfurt, the capital of the southern Austrian federal state Carinthia, boasts all of the above. 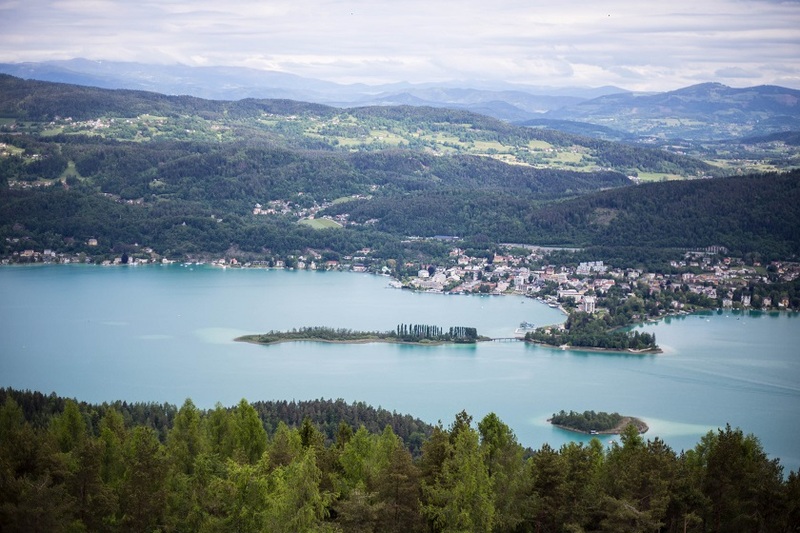 Sitting right next to oh-so-pretty lake Wörth, or Wörthersee, in the middle of some of the most breathtaking mountains you can find in the country, the little town is the perfect sport for a weekend getaway. 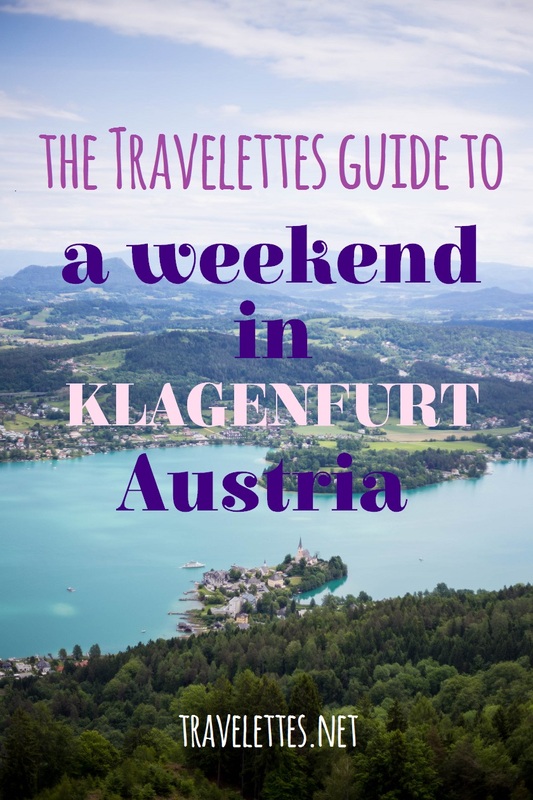 So if you’re thinking of taking a little time off to head to the Austrian Riviera, read on – here’s the Travelettes Guide to a weekend in Klagenfurt, Austria. 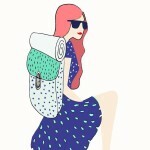 Put down your suitcase, pull on your bathing suit, and start relaxing. 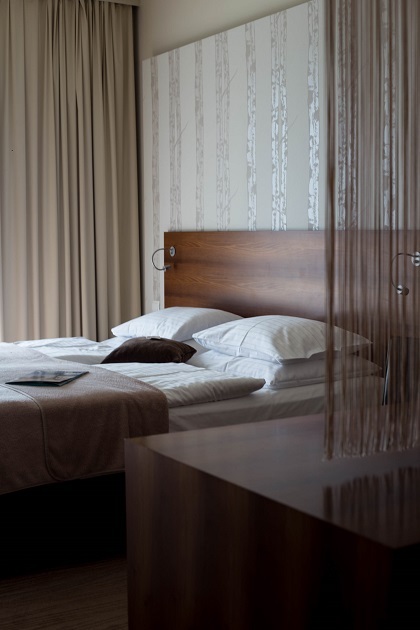 While the Seepark Hotel is located just next to the refreshingly cool waters of Wörthersee, it might be a little hard to tear yourself away from the cozy rooms (with amazing views over the lake and mountains, by the way!) 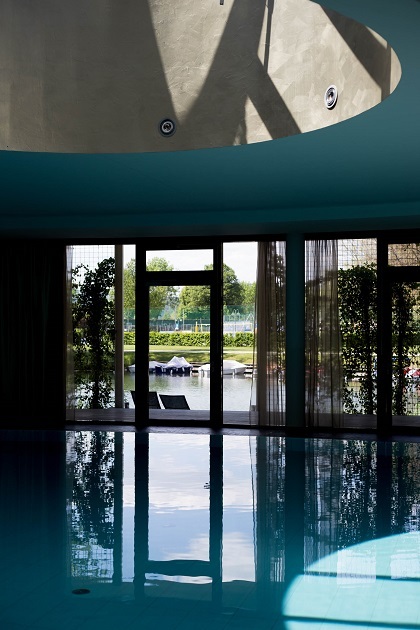 or the expansive spa area. 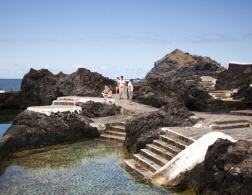 Take a few hours to enjoy a hot sauna, chill besides the little lagoon, or go for a swim in the in-house pool. I personally almost couldn’t get a move on after having spent the afternoon reading next to the water, looking out over the laguna, and observing the tiny boats that float up and down the little stream just across from the hotel terrace. Luckily, I knew that I would be coming back in the evening for views of the strikingly red sunset delivered straight to my balcony, so parting with the spa area was only bittersweet. To be perfectly honest, I’ve been to Klagenfurt a couple of times already, and each time, the town itself has not really been in the center of my attention. 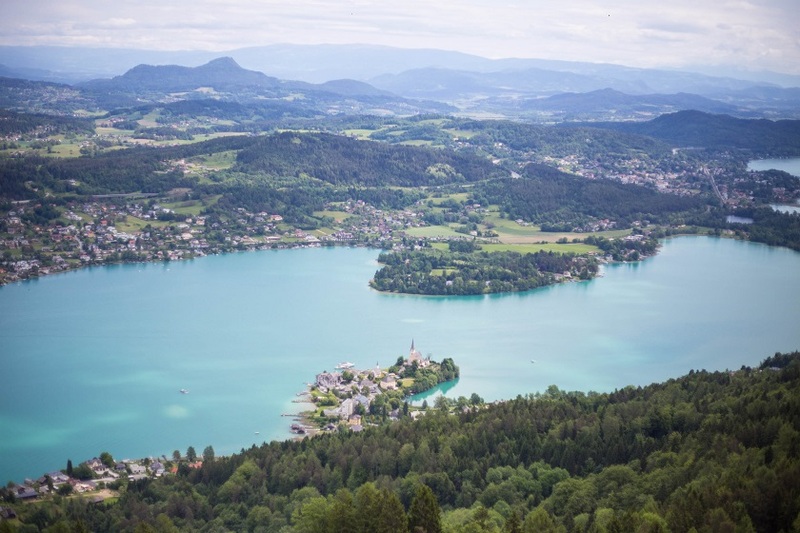 Whether I was wakeboarding on the lake, doing an Ultratrail around Wörthersee, or working hard on my tan, my holidays in this region of Carinthia so far have always revolved around the beautiful nature. Turns out I was missing out! 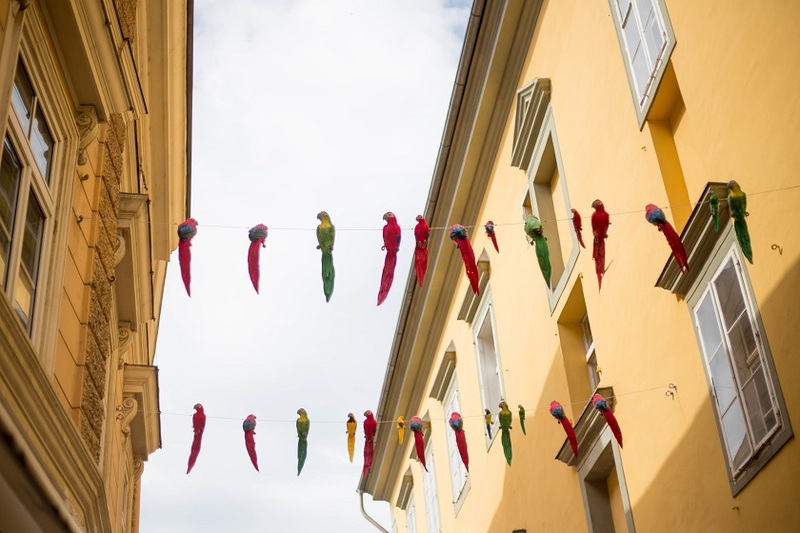 Klagenfurt is not only a very cute little town; it also has a distinct southern charm that immediately makes you think of Italy. 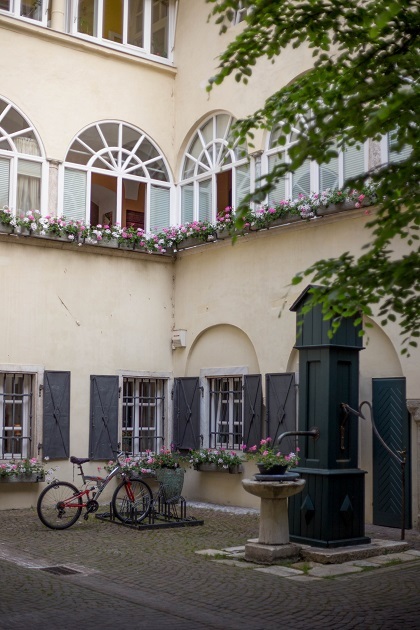 Just try walking into one of the many hidden courtyards without feeling like you are a few hundred kilometers away in the South – it’s impossible! 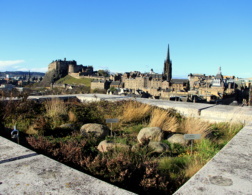 If you have time, there are free guided tours in German and English every Friday and Saturday at 10AM, starting at the Dr. Arthur Lemisch Square, which will give you a good overview of the city. 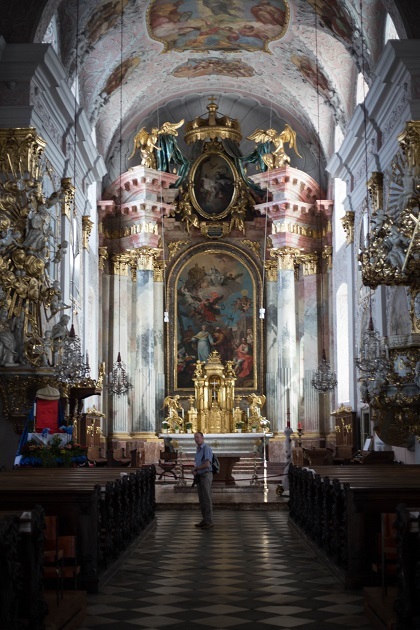 Even if you are just heading out by yourself, make sure not to miss the lindworm statue, the Klagenfurt Cathedral, the Carinthian Landtag (Federal State Parliament) and its impressive hall of crests, and the Benedictine Market, open every Thursday and Saturday from 6:30 AM. 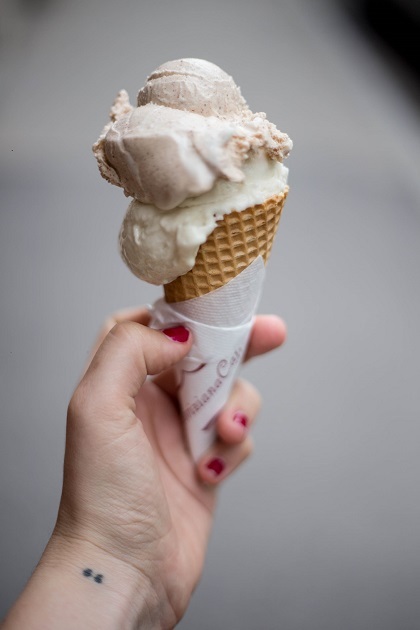 When the sun is shining – and it almost always is in Klagenfurt – there is no better snack than ice cream (obviously!). 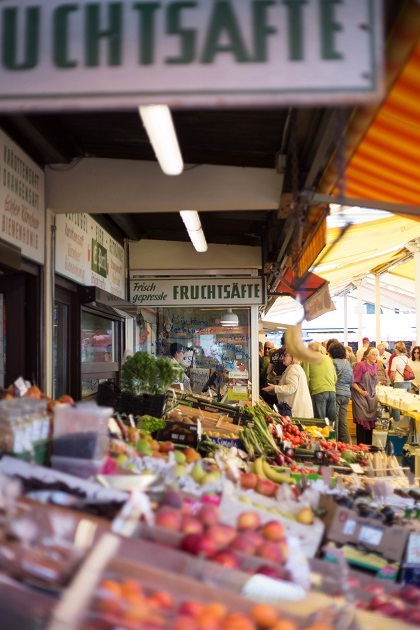 Go to Tutti Frutti for Italian Gelato (I tried cinnamon and rhubarb, both delicious), or head to Eis Greissler for some of the most creative types of ice cream you can find in Austria (my two favorites so far are goat cheese and asparagus). 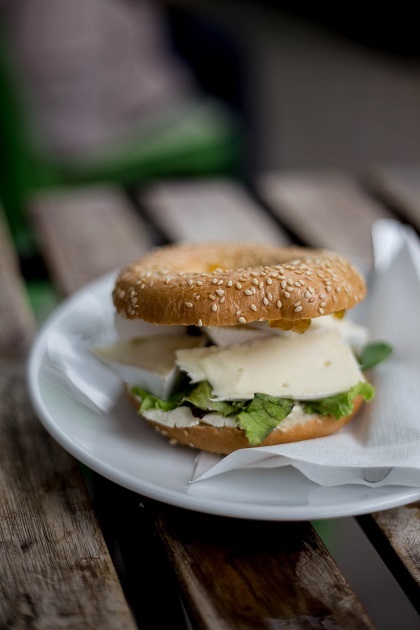 If coffee is more your thing, head to Café Como and enjoy a bagel or two with your cuppa. For dinner, try the traditional Gasthaus im Landhaushof. For a wide selection of beers, go to restaurant Augustin. If you are looking for something less traditional, maybe the recently opened Magdas Lokal is something for you – the social business offers cuisine from around the world, prepared by native (and often migrated) chefs. Another good tip is Der Franzos, where you can eat your way through French delicacies, or Villa Lido, where the pizza is served with beautiful lakeside views. 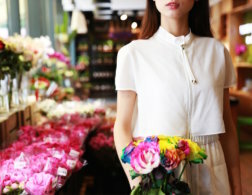 For the rare case that there are no blue skies, or you just want to take a break from being outside, Klagenfurt offers its fair share of cool indoor activities. The brand new climbing gym Boulderama is only one of these options. With its 1001 square meters of climbing area and ever-changing climbing routes, it is simply not possibly to get bored here. 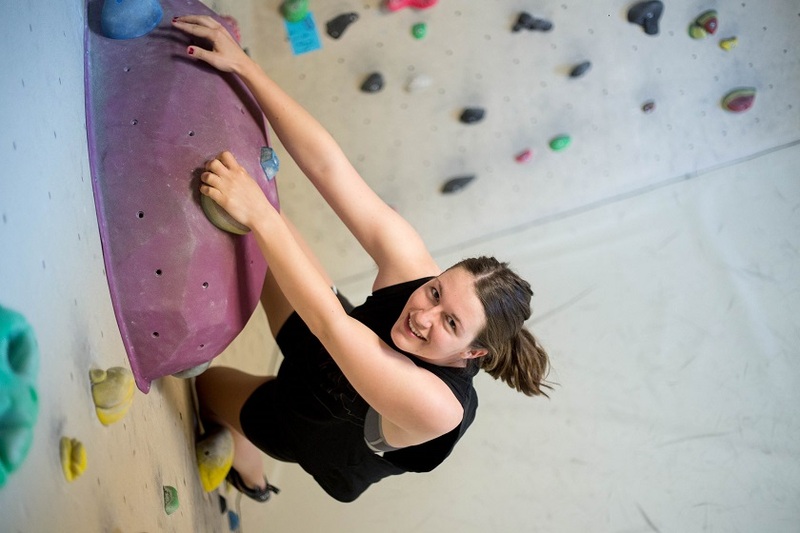 Don’t worry if you are just a beginner – I had never tried bouldering before and felt well taken care of by the friendly team. It was also a great learning experience; I now know that my arms are weak as hell and that sore muscles can be so intense that even activating your phone can become strenuous in the days that follow the climbing adventure. But hey, no pain, no gain – next time (and I am sure there will be a next time! ), I’ll do a little better already, I’m sure. Alternatively, you could check out Klagenfurt’s varied cultural program. The Museum of Modern Art Carinthia usually has great exhibitions on display (and a cute café in the courtyard), and the theater’s program is definitely worth a look. I got to watch Nestroy’s Talisman and thoroughly enjoyed it. 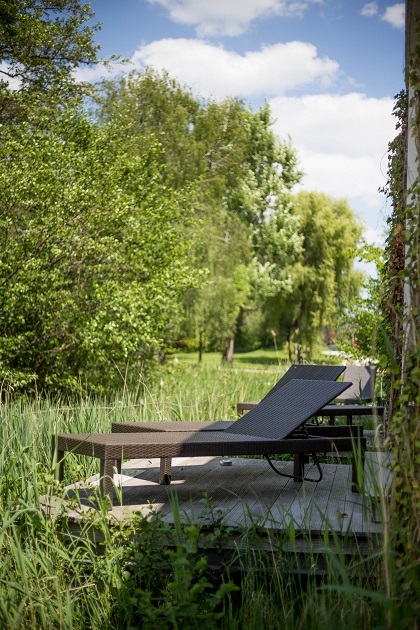 Klagenfurt is a small town, and while I personally could sit on the beach for days on end, a weekend is more than enough to do a little city tripping, get your tan on, and explore the surroundings. 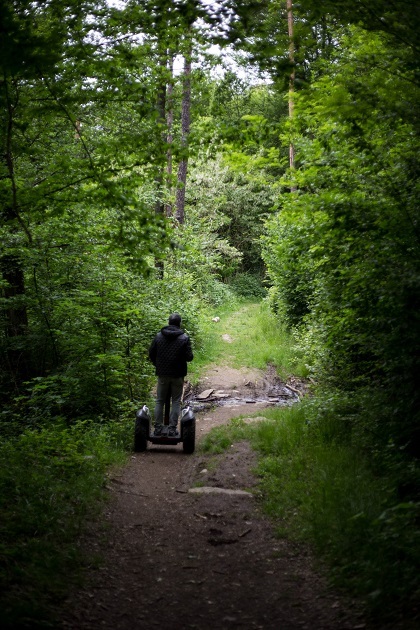 I did just that – with an off-road Segway tour. 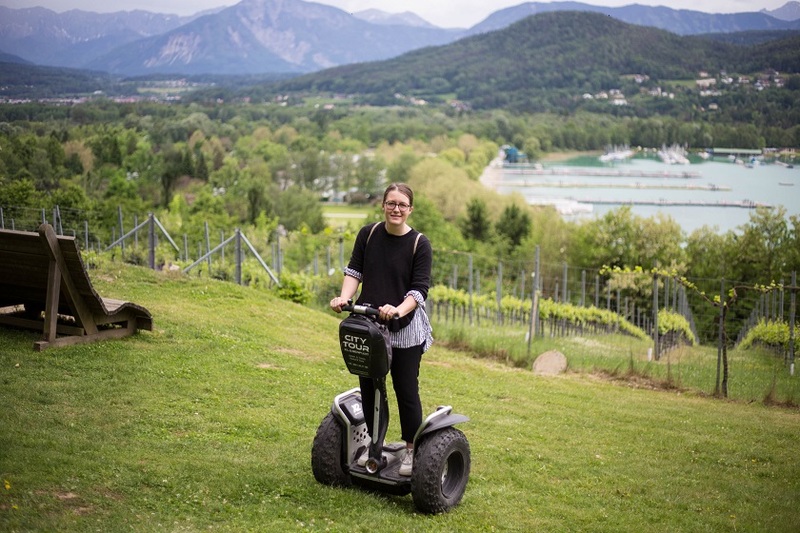 I used to think that Segway tours are typically something that tourists do who are maybe a little older than me, maybe a little less sporty, and maaaaybe a little bit less adventurous. The second I stepped on the Segway, I changed my mind. The off-road Segways have big wheels that can go over roots, across pastures, and even up mountains, which is exactly what we did. 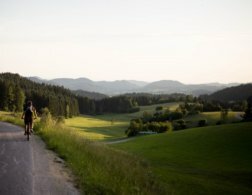 The tour took us up Kreuzbergl, a little mountain right next to Klagenfurt which offers beautiful views over the lake and town. 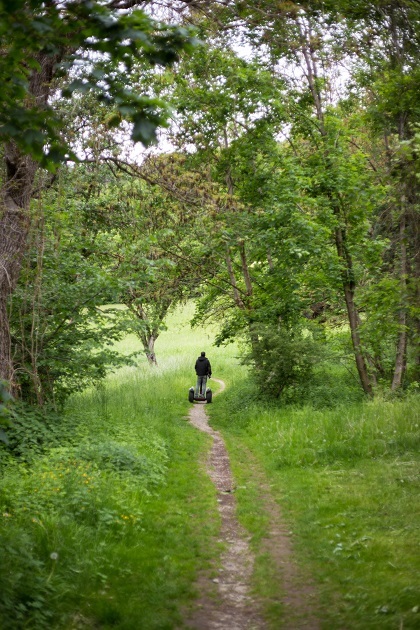 I have to admit, I was a bit sad when I had to leave the Segway behind and start walking again – it’s definitely fun to try. A few kilometers away from Klagenfurt is the one place you should absolutely visit when in the area: the Pyramidenkogel. The little mountain is topped with a giant lookout tower that offers the most beautiful views over the entire region, looking over the nearby mountain ranges all the way to Austria’s neighboring countries to the South. 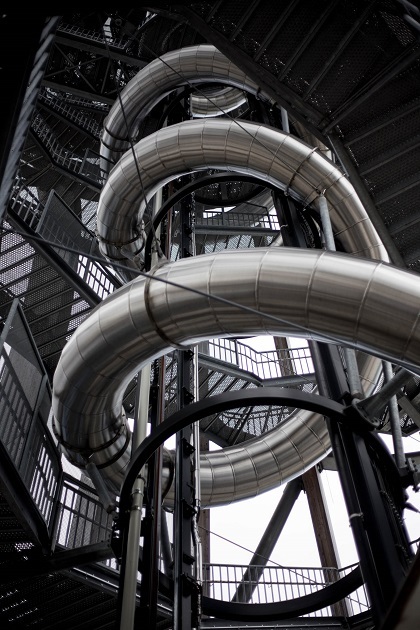 For a few euros extra, you can take the enormous slide all the way down – all 120 meters of it. If you are feeling really crazy, you should definitely sign up for the Free Fall that is open from May to September each year. 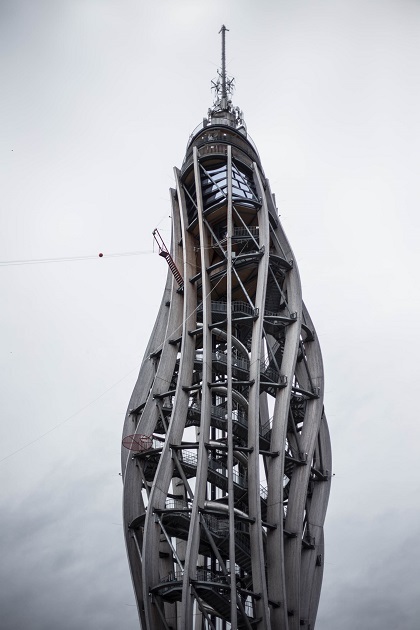 Here, you can basically jump from the tower all the way down – similar to Bungee Jumping, but feet first. Just like I said – crazy. Crazy cool. It’s from here that you can truly see how turquoise this lake really is, before you head back down again and plunge into the clear waters. No wonder they call it “Klagifornia” – it’s as close to the real deal as you can get in Austria. What about you, have you been? 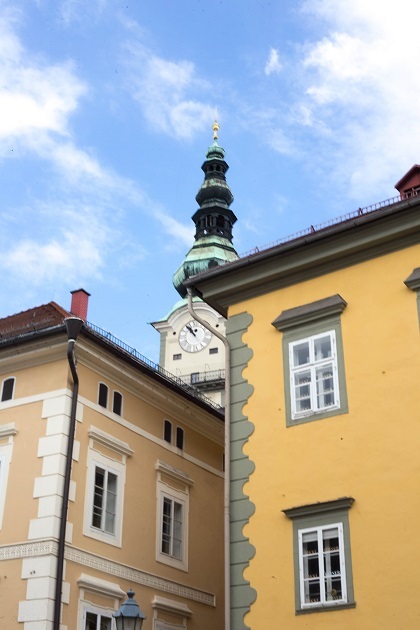 Or is Klagenfurt still on your bucket list? Let us know in the comments! Thank you Visit Klagenfurt for the invitation and the wonderful weekend! Everything looks so fun!! The gelato looks so good too. I'd love to visit. I haven't been but would love to go after seeing your photos =o) Thanks for sharing! Wonderful photos. Must be a really beautiful place. I actually live in Klagenfurt, I moved here a few years ago to study and stayed as I gotna job here. I'm happy to read such a great review of this lovely city - it's really worth a trip, especially in summer!